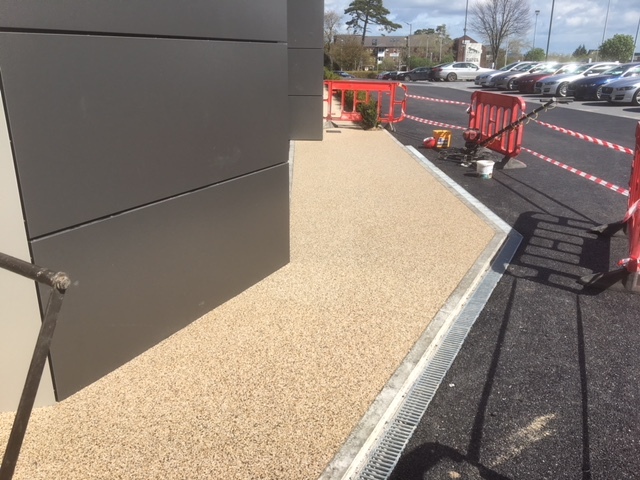 We recently completed the second phase of the resin bound aggregate pathways around a Jaguar garage in Sandyford Co. Dublin. The first phase was completed in December 2017 and we completed the second phase in April 2018. This is an ongoing project with car showrooms around Ireland. 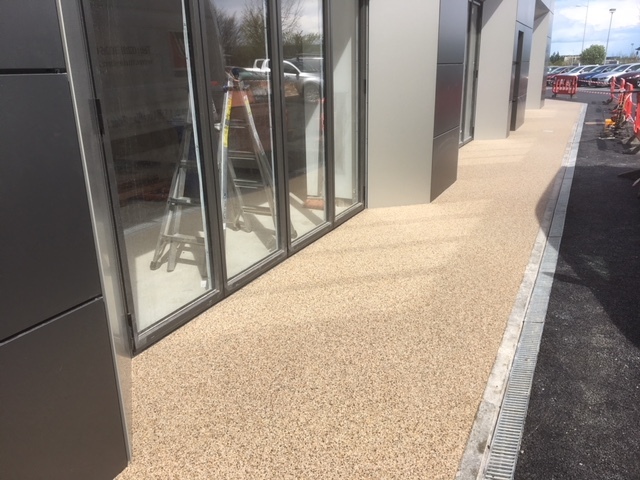 We have also completed resin bound pathways around jaguar and Ford showrooms in Swords Co. Dublin and in Naas Co.Kildare. 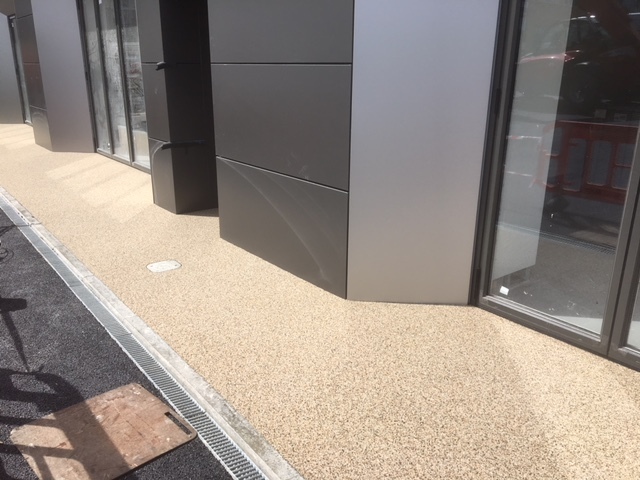 The car showrooms like resin bound aggregate on their paths for a number of reasons. Firstly it looks better that the alternatives of brick paving, tarmac or imprinted concrete. It will keep its colour and you will not get weeds growing up through it so its maintenance free. 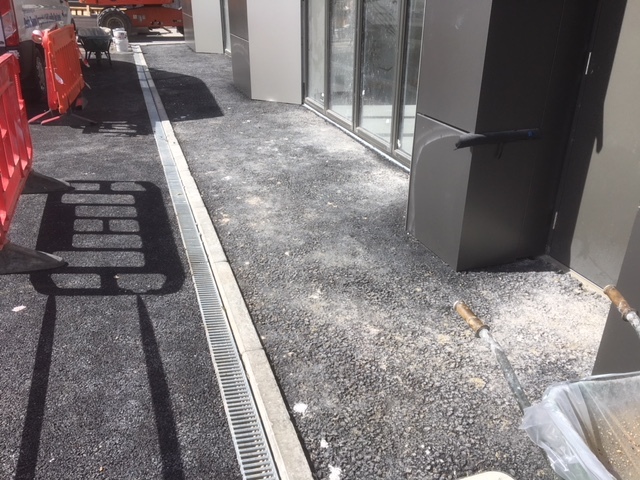 We also supply and lay resin bound aggregate throughout Ireland for pathways around houses. The fact that once layed the paths are maintenance free is very appealing to many customers. If ever the path get dirty you can give it a hose with a cold power washer and this will bring it up like new. That is really the only maintenance involved. See some pictures below from the car showroom in Sandyford. For more information please feel free to contact us and we will come back to you with a free no obligation quotation. Established over 50 years ago, we are one of Ireland’s leading manufacturers and suppliers of concrete products.